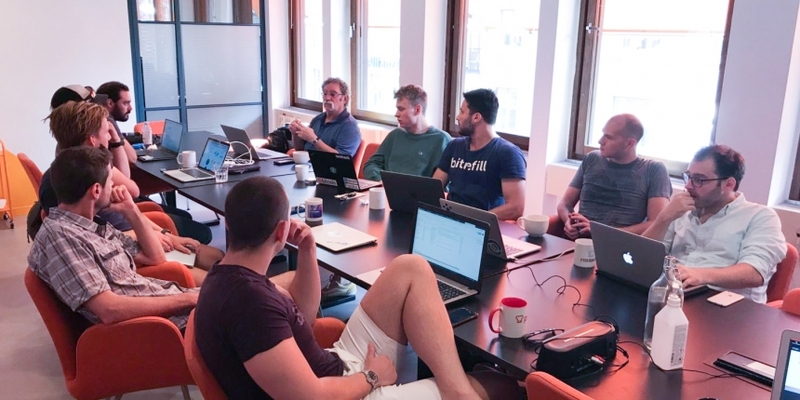 Stockholm-based startup Bitrefill now offers a way to mitigate bitcoin’s expensive learning curve for new users. Revealed exclusively to CoinDesk, Bitrefill’s new Thor service allows people to give lightning channels to someone else with no setup on the recipient’s side. Lightning was created to allow cheaper, off-chain bitcoin payments. Typically, this is how lightning works: Someone has to set up a channel between two parties and deposit enough bitcoin to hold it open. Users can only send as much money as the channel’s capacity supports. What Thor allows users to do is outsource the technical work for opening a channel, which can be paid for with bitcoin, litecoin, ethereum, dash or dogecoin. Bitrefill will then maintain active channels for 30 days. After more than a year of experimenting with lightning payments, this 12-person startup has allowed people to pay phone and cable bills and use the network for a variety of other transactions, totaling 3,760 completed orders. The first week of 2019 alone saw 105 new orders, the company says. According to 1ML.com, Bitrefill is one of the top five organizations increasing global lightning channel capacity, which now hovers above $2 million across the network. Thor works with several free wallet apps such as the LND wallet. Users scan the QR code on the Thor page provided while paying for the service, then copy and paste script – all without needing to deal with the raw command line themselves. Anton Kumaigorodskiy, a developer for the Bitcoin Lightning Wallet that also integrated directly with Thor, told CoinDesk this service could help boost lightning usage. He said at least 3,204 users have installed the Bitcoin Lightning Wallet app on their phones so far. All things considered, lightning usage is poised to continue growing in 2019. This bitcoin scaling solution burst onto the scene with user-ready beta software less than one year ago. And yet already a comparison of 1ML.com statistics to Ethernodes.org, which tallies nodes for the second largest cryptocurrency network, reveals there are roughly half as many lightning nodes as there are unique ethereum nodes, more than 5,215. However, when it comes to lightning-enabled payments competing with traditional fiat methods, Kumaigorodskiy said he is “a bit skeptical.” For now, Kumaigorodskiy said he still thinks professional traders have the most to benefit from using this nascent technology.